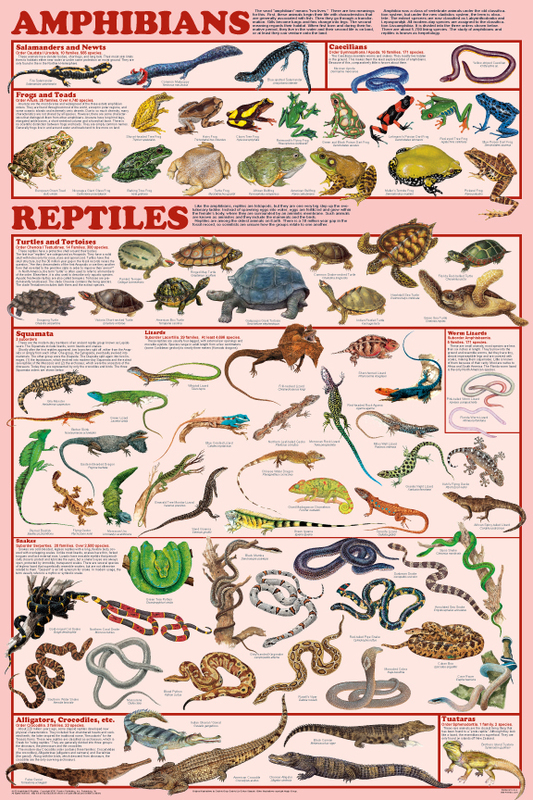 While this section is largely devoted to reptiles, we've also included a frog and toad identification poster for all those amphibian lovers out there. 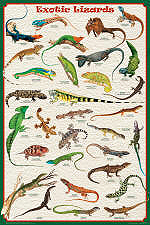 For the budding herpetologist, we offer a poster about snake species as well as one that highlights areas where snakes live around the world and snake anatomy. We also offer crocodiles, alligators, turtles and tortoises for your viewing pleasure. Click on a photo or link below for more information on a specific poster.